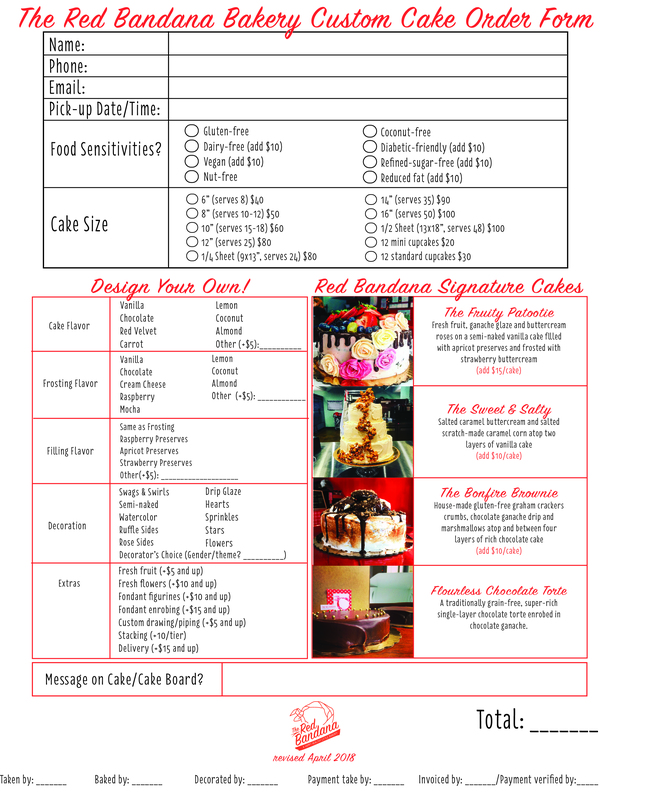 To order a cake, please fill out the form below or feel free to call (240-284-6523) or email us! You will be sent a link to pay and a calendar invitation to finalize your order. We require a minimum of 48 hours pre-payment for all custom cakes. 6″ and 8″ cakes are often available in a quicker turnaround time–give us a call to check!